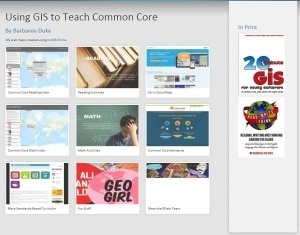 Check out the latest project from Barbaree about using GIS to teach Common Core standards. This summer she added math and has a nifty portal to serve as home base. Click on over to www.barbareeduke.com/ccgis to get all the details. You could be mapping your way through Common Core today!